Any piece of writing is its own animal. When I sit down to write, I write for everyone, knowing that not everyone will read or appreciate it. Writing is recursive, as I keep coming back to it. It’s all in the p(re(writing)). My work is infused with research, both internal and external, as well as the bones of my ancestors, poetical and blood. I write from my corner, looking outward. Robert Eric Shoemaker is a poet-playwright, translator, educator, and theatre artist. Eric holds an MFA in Creative Writing & Poetics from the Jack Kerouac School of Disembodied Poetics at Naropa University. Eric is a student in the PhD Humanities program at the University of Louisville, focusing in Creative Writing, Poetics, and Gender/Queer Studies. Eric’s second book, We Knew No Mortality, was released in March 2018 from Acta Publications. In this “tour of individuation with no map, trapped in a trail of returning, We Knew No Mortality moves between prose and poetry, narrator and speaker, while hovering between the cool dark shadows of ancestry and the heat of volatile longing” (Ella Longpre). “Jesus returns to wash us ‘white as snow’, capitalism reaches its culmination and fails, and Eric travels the long road of family history to arrive at something like reconciliation, something like moving forward” (J’Lyn Chapman). Eric’s writing has been featured in The Gordian Review; Barely South Review; Cigar City; Mount Analogue; Punch Drunk Press Online; Roar; The Adirondack Review; Kairos; Columbia Journal; Water, Water Everywhere; BEATS; Mosaic; Tooth N’ Nail; Rollick; Literature Emitting Diodes; Chicago After Dark; Thought Notebook; Baseball Bard; Verde Qué Te Quiero Verde; and his debut book 30 Days Dry from Thought Collection Publishing. A third book of hybrid writing, Ca’Venezia and other tales, is on the way from Partial Press. Eric is the Founding Editor of BEATS, a Naropa-based journal. 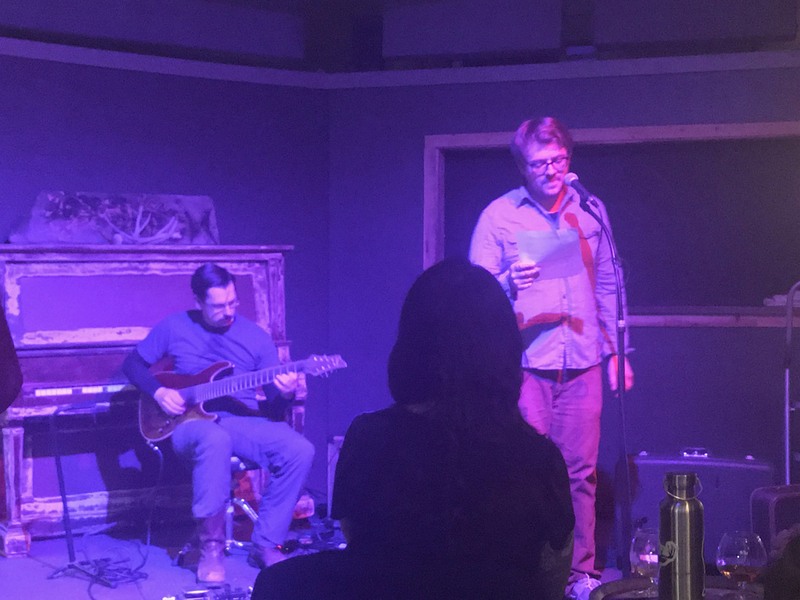 After its founding in response to the presidential election of November 2016, BEATS published 4 chapbooks, innovative ephemera issues, and dozens of online pieces; orchestrated two activist readings; and had one production at a major venue, “HOWL: A Ginsberg Birthday Party” at the Fox Theatre in Boulder. Eric’s translation of Federico García Lorca’s “Yerma”, titled “Barrens”, won the inaugural Orinda Award for Best New Translated Play from the Literary Managers and Dramaturgs of America, and will be staged as a reading at the 2019 ATHE conference. His project “Lorca In America” was awarded a 2015 DCASE Individual Artist Program grant from the City of Chicago and featured the production of his original translation “Bernarda Alba and Her House” at Redtwist Theatre. 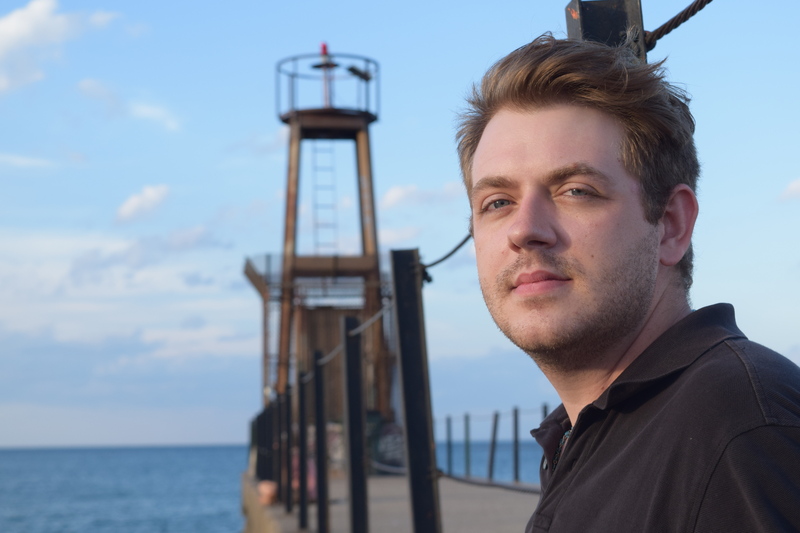 Eric is the author of the duet musical “PLATH/HUGHES”, which was awarded the 2014 Olga and Paul Menn Foundation Prize for Best Play and has been produced by Poetry Is throughout Chicago and in New York. Eric is also the Founding Artistic Director of Poetry Is Productions, a theatre and arts company responsible for over five years of work in Chicago, New York, Kentucky, and Colorado. Eric’s journalism has been published in Turnout: A Poetic Journalism Zine; Boulder Weekly; Newcity; Evanston Now; Fra Noi Magazine; Artisan Magazine; Printeresting; VAM; and through the Pulitzer Center on Crisis Reporting Campus Consortium Fellowship, which sent Eric to Venice to cover his original project “Venetian Artisanship and Climate Change”. Eric is a graduate with honors and a student marshal from the University of Chicago, where he was Artistic Director of the Classical Entertainment Society. He currently serves as a member of the University of Chicago Arts Alumni Board.